Elizabeth Jones is travelling back to England following the death of her parents in China when she is shipwrecked off the coast of South Africa. She is rescued by Lindani, a Zulu, and she is adopted by his family, spending years living as a Zulu who is now known as Inyoni. With the coming of the British invaders, her English language skills will come in useful if she could spy for the Zulu, which Elizabeth is eager to do. Her loyalty now is to her Zulu family and not to the country of her birth, which she feels played a significant role in the deaths of her family years before. Relying on the fact that most people don't look much past what seems obvious, Elizabeth cuts off her hair and dresses in a stolen uniform. The only man to see through her disguise almost straight away is Jack Burdell, but he believes Elizabeth's story of searching for a lost brother and so employs her as his batman in order to try and protect her secret identity from being discovered. Whilst living in such close quarters, the attraction between the two of them grows. Elizabeth's loyalty to the Zulu is not so straight forward once she knows that the information that she passes on, or the sabotage she performs, may directly impact the men she has come to know, especially Jack. 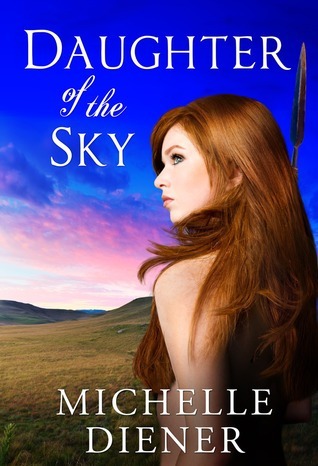 Daughter of the Sky features a trope that is often used in historical romance - a young woman dressing as a man - and does it well. What makes this so fascinating this time is the setting. I don't think I have read many books which are set during the Zulu wars in South Africa. I am not sure that I would necessarily classify this book as historical romance though. There is a love story, and it was one of the very well written aspects of the book, but this is no romance with a wallpaper historical setting. There are battles and death and drama aplenty and the author has kept as close as possible to the historical facts, even using quotes from actual correspondence at the opening of each chapter. One of the other things I loved about this book were the thoughts of Jack's father. Jack receives his journal during the course of the campaign and he starts reading the journal while sitting in the tent waiting for the battle to start. There is a poignancy reading the thoughts of a man who is writing before his son signs up as soldier, wishing that his son would see something other than glory when he is thinking about doing so. It is also poignant to see the way that history is repeating itself, with many of the same mistakes that were made in battles in India a generation before being made in Africa, not the least of which is underestimating the locals and how hard they will fight for their homeland. These thoughts also have echoes in Jack's own disillusionment with the army and with the war that he finds himself in the middle of. I have long been partial to books set in Africa, so when offered this book by the author, I was more than happy to accept. Then I saw that there was a virtual book tour, I volunteered for that so that I would have to read it! Once I started, it wasn't an imposition. This isn't a book that I could necessarily see as being published by any of the big name publishers. With the constantly changing world of digital publishing it is exciting to see small publishers taking chances to publish unusual stories, or when authors can publish the books of their heart themselves. Michelle Diener grew up in the area where the battles portrayed in this book took place, and you can tell that this is history that has come alive to her! The challenge for readers is to find those small press or self published gems among some not so gem-like books. 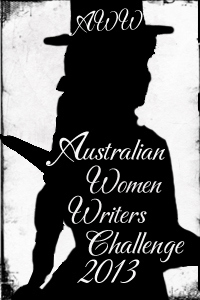 If you like strong historical fiction with romantic themes and an unusual setting, this could be the book for you. I truly enjoyed it! I read this book already, and loved it. Michelle is such a good writer. I enjoyed everything about it. I'm partial to African-set books too. Might have to check this one out.